What will Brexit mean for British tourists booking holidays in the EU? 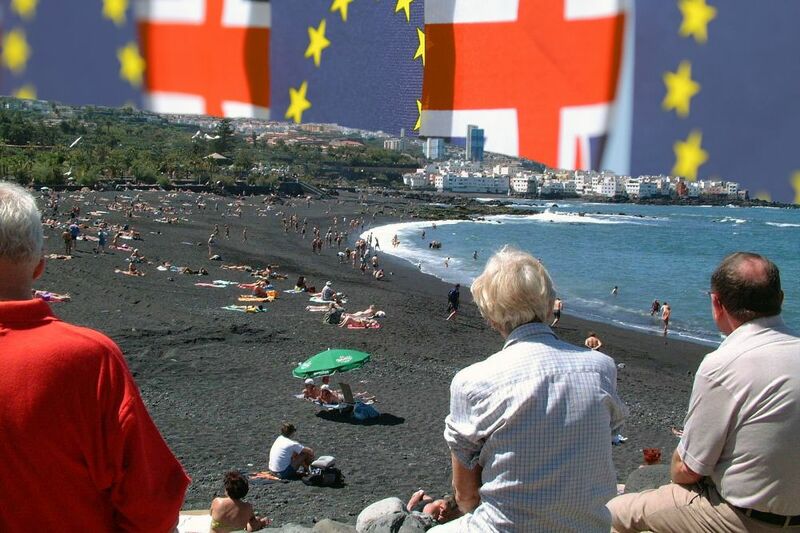 Judging by the weight given by both sides in the referendum campaign, questions of travel rate highly in the public consciousness – probably because our most intense engagement with Europe is when we go on holiday there. As with any topic, there is inevitably a fair amount of “no one knows” and “it all depends…”, but some of the wilder speculation is fairly easy to discount. Remain says that family holidays will cost hundreds of pounds more if Britain leaves. Correct? It all depends … on what happens to the value of the pound in the event of a vote to leave. Certainly, if leaving the EU triggers a long-term fall in the value of Sterling, then travel to our favourite locations – Spanish costas, Italian cities, Greek islands, Florida theme parks – would cost more. But not by as much as the Remain camp says. The Prime Minister turned up at an easyJet hangar in Luton Airport to announce the end of cheap holidays as we know them, citing some very specific figures; the cost of a typical holiday would rise by £57.50. But that is predicated upon the Treasury’s prediction that Sterling would lose 12 per cent of its value. It also assumes, wrongly, that all costs involved in a holiday would rise accordingly. Some key elements of every overseas trip are denominated in foreign currency (for example, aircraft and aviation fuel are priced in dollars), but many are not – air crew who are paid in pounds would not get paid more, and Air Passenger Duty will not rise (at least not because of the fall in Sterling). And cheap flights will disappear? From the average European citizen’s perspective, “open skies” represents one of the most significant benefits of EU membership. Since 1994, any EU airline has been free to fly between any two points in Europe, including domestically within a different country to the one in which it is based. The freedom to fly allowed easyJet and Ryanair to flourish, and has forced “legacy” carriers such as British Airways, Air France and Lufthansa to cut costs and fares. On any European journey you care to name, the typical fare is about half what it was in the early 1990s – and anyone who can be flexible about timing can save even more. According to some Inners, open skies would be among the first arrangements to be binned. The Outers point to the fact that Norwegian, a non-EU budget airline, flies successfully within Europe and, latterly, from the UK to the US; they say nothing would change. Both assertions look a little flimsy. Many international air routes are the subject of bilateral agreements; ie, the two governments decide between them how many flights there can be, and who can fly them; this is how links to Russia and many other nations are regulated. If every route between the UK and the EU had to be renegotiated on a bilateral basis, the bureaucratic logjam would be immense. Similarly, British Airways and Virgin Atlantic have easy access to America because of an EU-US treaty on open skies. Given that London is the world hub of aviation, and a key destination for dozens of airlines, it looks most unlikely that routes to and from the UK could be affected. But the freedom for British airlines such as easyJet to fly within and between EU countries could be curtailed; nations such as France and Italy have in the past been blatantly protectionist of their home airlines, and the chance to clip the wings of easyJet, BMI Regional and Flybe could be welcomed by politicians – if not by the passengers who use them. It is likely that airlines would restructure into separate UK- and EU-based corporate entities, adding complexity and cost and reducing flexibility. Could using our phones abroad cost more? Another tangible benefit for EU consumers has been the squeeze on the excessive roaming charges levied by mobile phone companies. The maximum surcharges phone firms can levy have just been reduced again, and by next June they will disappear completely; that will happen whether or not there is a vote to leave. But will they last? “These arrangements, which benefit millions of British travellers every year, would not be guaranteed to continue were the UK to leave the European Union,” says the Remain camp – correctly. But it is difficult to imagine any UK Government saying to the mobile firms, “Oh, as we’re out of the EU now, just bring back roaming charges”. In any case, since the mobile phone companies will be demonstrating a year from now that they can survive on zero roaming fees within Europe, competitive pressure should keep a lid on them. Some say we’ll need visas to go to the Med? Yes, some of the more excitable of the Inners hint darkly that we’ll all be queuing up outside the Spanish Embassy before we’re allowed back to Benidorm. Of all the tosh talked in the campaign, this is probably the most absurd. The UK is second only to Germany in terms of the tourists it exports to other countries. Britain runs a massive “tourism deficit” (the excess of what we spend abroad compared with what we earn from foreign tourists), much to the benefit of bartenders from Benidorm to Benitses. The suggestion that the governments of Spain, Greece, Portugal etc would single out Brits for tough treatment is risible. We’re told always to travel to Europe with our EHICs [European Health Insurance Cards]. Presumably health care will get more expensive and travel insurance costs will rise? EHICs indicate entitlement to public health care on the same basis as local people in EU countries. But before joining the EEC (as was), the UK had reciprocal health agreements with dozens of countries. We still do. It is likely that a similar range of deals would be concluded. But travel insurers who offer lower premiums for people who carry EHIC cards would not have so simple a test to apply, so it is possible the cost of insurance could rise. Would the booze cruise survive? It is not inconceivable that an agreement could be hatched whereby Britain remains notionally in the EU as far as customs limits are concerned. At present, EU locations such as Gibraltar and the Canary Islands are outside Europe for customs purposes, so presumably the converse could apply. But it seems unlikely, especially since EEA nations such as Iceland and Norway have the usual customs barriers. No more filling up the boot with cheap claret in Calais: you would probably be limited to one litre of spirits, four litres of wine and 16 litres of beer. But the silver lining for cross-Channel ferry operators and airlines is that proper duty-free would return; anyone who currently promises “duty free” for a journey within the EU is fibbing. Yes. A number of European countries, particularly Spain, offer free admission to leading cultural attractions. That would cease.